Hi! Alicia here today with an altered letter and fleur de lis wall hanging. I made this project for my sister~in~law's birthday. 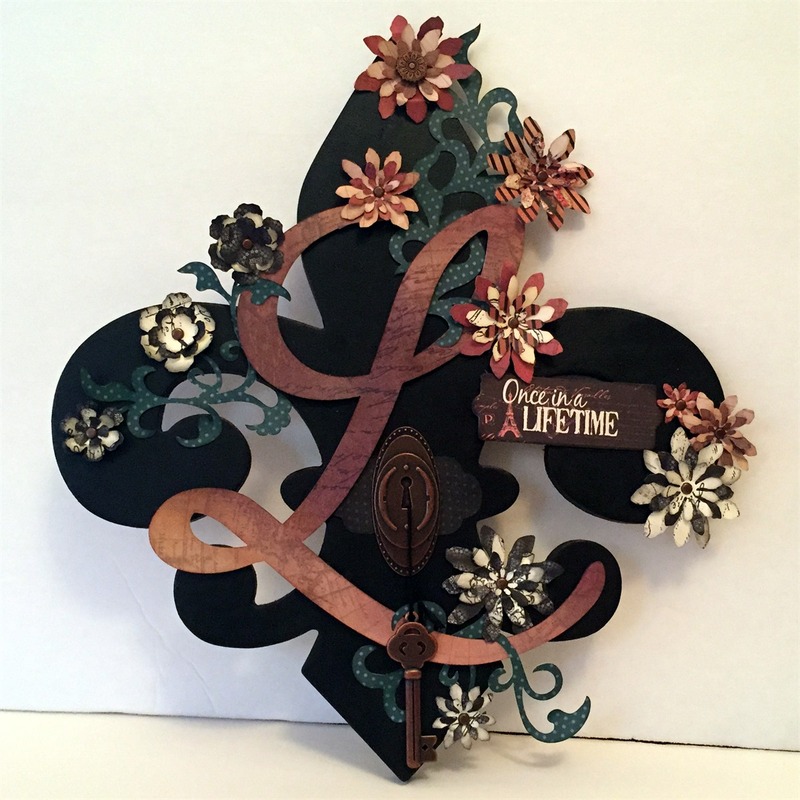 She loves fleur de lis. I started by painting the chipboard piece black. 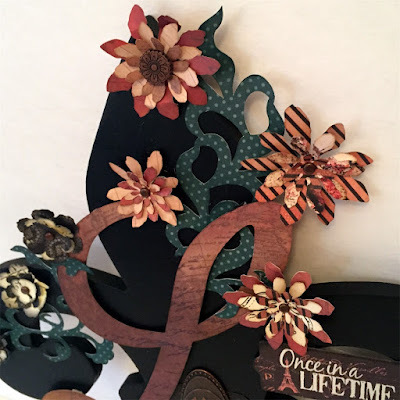 Then I designed the letter and vines in Cricut Design Space. I cut the flowers with a manual die cut. 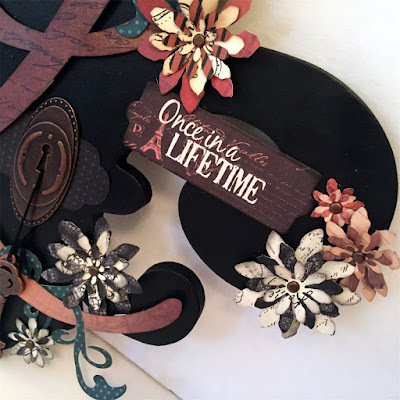 I cut many flowers and pieced them together inking every layer with Quick Quotes Powder Puff Chalking inks. I added dimension by intertwining the vine with the letter and flowers. I popped some pieces on pop dots for more dimensional variation. 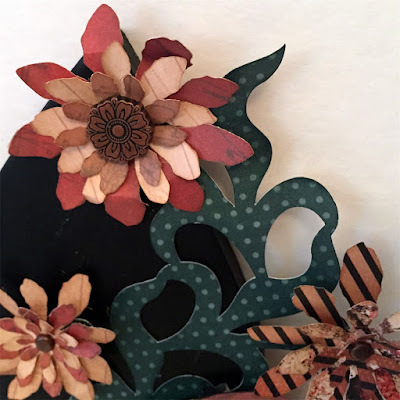 I distressed the flowers by crunching and folding to give them dimension. I also used different papers to make them pop!